Where did he got this Nephilim idea, though? 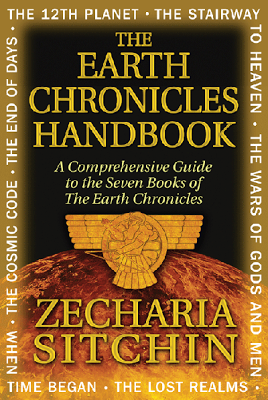 I got the strong suspicion that he must have read more than one book by Zecharia Sitchin (July 11, 1920 - October 9, 2010). Sitchin was an Azerbaijani-born American writer and a scholar who in the '60s and early '70s deciphered ancient Sumerian texts and developed a weird theory according to which men were descendants from ancient astronauts who visited earth, aeons ago in search of gold. These gigantic creatures came as he claimed from the planet Nibiru (called "the twelfth planet"). They were a technologically advanced human-like extraterrestrial race called the Anunnaki in Sumerian myth, who Sitchin states are called the Nephilim in Genesis. 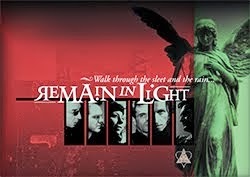 They were also later associated with fallen angels. According to Sitchin, ancient inscriptions report that the human civilization in Sumer, Mesopotamia, was set up under the guidance of these "gods". Primitive workers (Homo sapiens) were created by genetic engineering as slaves to replace them in the gold mines by crossing extraterrestrial genes with those of Homo Erectus. Since the release of his first book The 12th Planet in 1976, now in its 45th printing(! ), Zecharia Sitchin wrote seven other books as part of his Earth Chronicles series, and six other companion books, all of which are still in print. Sitchin's sold millions of copies worldwide and been published in more than 25 languages and gained a huge following worldwide. The hypothesis was far too good... and he inspired a wonderful band. Didn't he? Didn't know this story behind FoN name. Great band though.